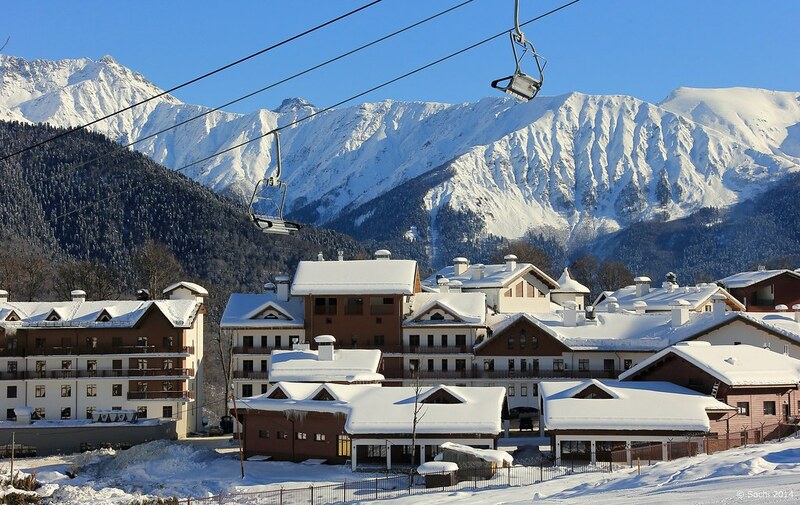 Why is the West waging a campaign against the Sochi Olympics? Vlad has summarised some of the barrage of propaganda that has been unleashed on us about the past, present and future disaster of the Sochi Olympics. They open in a week and we will find out who’s been telling the truth: the Western MSM or the Russian authorities. My bet is that Gian-Franco Kasper will prove correct in his forecast that the Games will be good: As to cost, “We have to see that what we did in the Alps we needed 150 years and they had to do it in five years. If you see that then it shocks you”. What interests me is what will be the effect of this propaganda colliding with reality. People are expecting to see half-finished crummy shacks, cracked and rutted roads, no snow, double toilets, poverty, homosexual persecution and all the rest. The Games will be covered by TV and millions will watch them for hours and hours. And in the background of this or that event, they will see things like this or this or this or this or this. That’s not what they’ve been told they will see. Barring a disaster, Western propaganda will take a body blow from reality. Millions will see that they have been lied to. There will be serious cognitive dissonance. And that’s the part of these Olympic Games that I’m looking forward to watching. OLYMPIC CORRUPTION. Navalniy has put out his corruption report. Not very impressive; mostly assertions. He agrees with Putin that the Olympic facilities, narrowly defined, cost US$6-7 billion. He thinks a 50-km road-rail route in difficult terrain up to the ski centre is very excessive at US$8 billion. (Follow the route yourself on Google Maps: not an easy one). He mentions a couple of occasions where people have been arrested for corruption. Various contractors are said to be Putin’s “friends”. 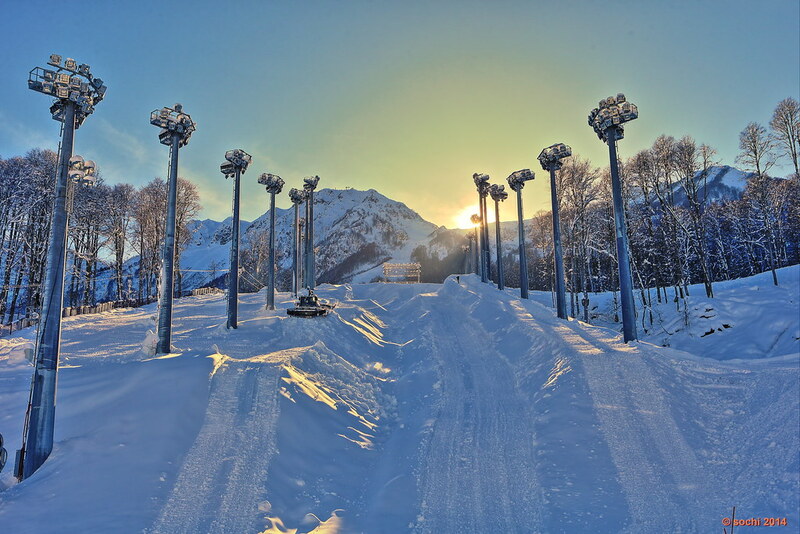 Yes, a lot of money has been spent – US$40-50 billion – but it’s a huge infrastructure operation to create a permanent tourist resort complex, not just a few weeks of winter sports. Anyway, here’s his report, see whether he convinces you that enormous sums have disappeared without a trace. In a week or so you can see for yourself what’s been built: “We have to see that what we did in the Alps we needed 150 years and they had to do it in five years”. SOCHI DOUBLE TOILETS. The story’s all over the place, latest here. But you’ve been had. Again. Read this. CORRUPTION. Quite a bit in the last two weeks. The nets seem to be catching bigger fish. A deputy chief of police in Moscow arrested for taking bribes. The deputy PM of Dagestan busted for fraud. A former member of the Dagestan parliament (and, for those who think they’re exempt, a stalwart member of Putin’s support party, United Russia) ditto. But, as usual, military-connected events lead the pack. A criminal case was opened against Serdyukov’s brother-in-law (I don’t believe that Seryukov’s out of the soup yet – passing the loot off to family is a common practice). The DG of an important shipyard “suspected” of embezzlement. The Prosecutor General said inspections of the defence industry had uncovered “a huge number of violations” and 48 criminal cases have been opened. You have to agree that while there haven’t been many convictions, there certainly have been plenty of arrests. THEY’RE BACK! Some years ago I was at the Northern Fleet base with a Canadian military delegation and, while admiring Petr Velikiy, noticed two more of the class rotting away across the bay and expected them to stay there. But it has just been announced that the refit of one of them, the Admiral Nakhimov, has begun. Well well. Petr Velikiy is presently in the Mediterranean (exercising with a Chinese warship!) and a second of that class is getting ready. I can’t resist saying that it was fun kicking Russia around in the 90s but was it really worth it? Throughout that time I was writing briefing notes warning that Russia would not always be down and that it would remember the treatment when it recovered. DEMOGRAPHICS. The moment many of the more perceptive observers of Russia have been predicting has happened: last year, for the first time in a long time, natural increase added 20,000 to Russia’s population. Russia’s population has been growing for several years now because immigration has made up for natural decline. But the program instituted some years ago to work at the problem from both ends has paid off and, in 2013 births exceeded deaths. A fact that is unknown to many media outlets still going on about a “dying nation”. SNOWDEN. A committee of PACE says it will invite him to Strasbourg in April to debate “mass surveillance and whistleblowing” with US officials at public hearings. Interesting to see if they do and what then happens. UKRAINE. The West continues to support the overthrow of the democratically-elected government. (Well, Dear Readers, forget the propaganda, what else could it truthfully be called? Whether you like him or not, corrupt, incompetent, whatever, Yanukovych was elected in an OSCE-blessed election.) Whatever happens, and it’s clearly in play, I predict Ukraine will be no better off in a year’s time. It’s bitterly split (and the West keeps trying to split it further by insisting it choose NATO or EU), it’s economically feeble, it’s running out of money. For example, it’s horribly in debt to Russia for gas deliveries; what do you think the West would do about that? Provide free gas? Tell Kiev to default? Argue the amount? Lend it billions? Expect Russia to keep running the tab? Advise Ukrainians to buy more sweaters? Pontificate about Ukraine’s European destiny? What? There are no white knights and the EU itself isn’t doing all that well. And driving Ukraine into East-West tumult periodically makes the situation worse. Already Ukrainians rate the USA six-to-one over Russia as the greatest threat to peace; what will they think in a year? 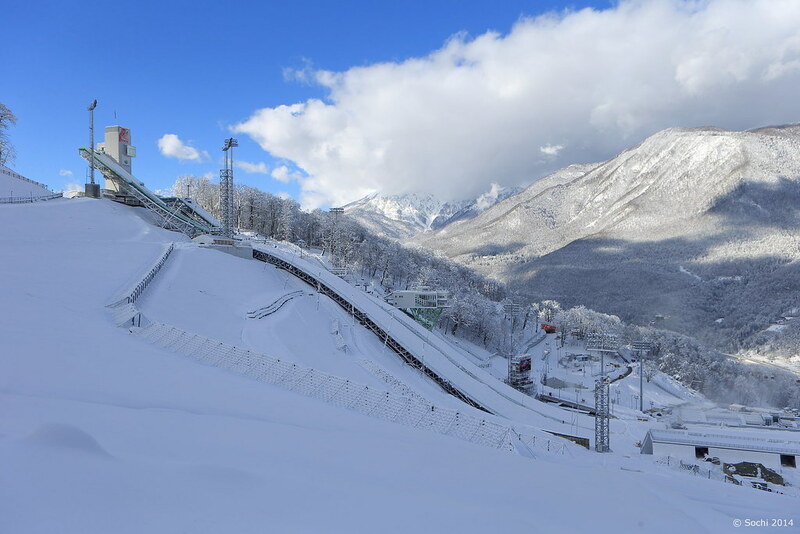 SOCHI. The anti-Sochi campaign is in full swing. (The Guardian gets everything in including the coming lack of snow about which it has some mystical foreknowledge). We have not just the homosexual stuff (a German reporter somewhat surprised to get the nonplussed view of the owner of one of two Sochi gay bars) but also the sad history of the Circassians. I have noticed pieces here and there concluding that Russia must “acknowledge its violent history in the region” or something. That’s odd, I don’t recall huffy op-eds calling on Canada to acknowledge how it came to possess the site of the Calgary Olympics or the USA the Salt Lake City site (opportunity there for two “acknowledgements”). What a load of pretentious rubbish! The cruel fate of the Circassians is hardly unknown in Russia and the authors of these pieces seem to be equally unaware of who they are (not Turkic. Quite the reverse in fact) but also that there are plenty of Circassians still living there. And that some are returning. This is all part of the current thrust of anti-Russia propaganda. As to corruption, these expensive Olympics (but the Russian Audit Chamber says direct Olympic expenses are more like $6-7 billion) may well exceed the Olympic norm but a lot has actually been built. While the site is ideal, the decayed Soviet infrastructure was not. Here is a list in Russian of what has been created in exchange for the 50-some billion – much more than just sports facilities: roads, bridges, power plants, tourist facilities to name a few. Moscow appears to be using the Olympics as an opportunity to make its Black Sea coast into an up-to-date tourist attraction. A website written by two Westerners, one of whom lives there shows many of these new things. There are going to be a lot of surprised Westerners; but then, Westerners depending on their media for information have been surprised by Russian reality for two decades now. SOCHI SECURITY. 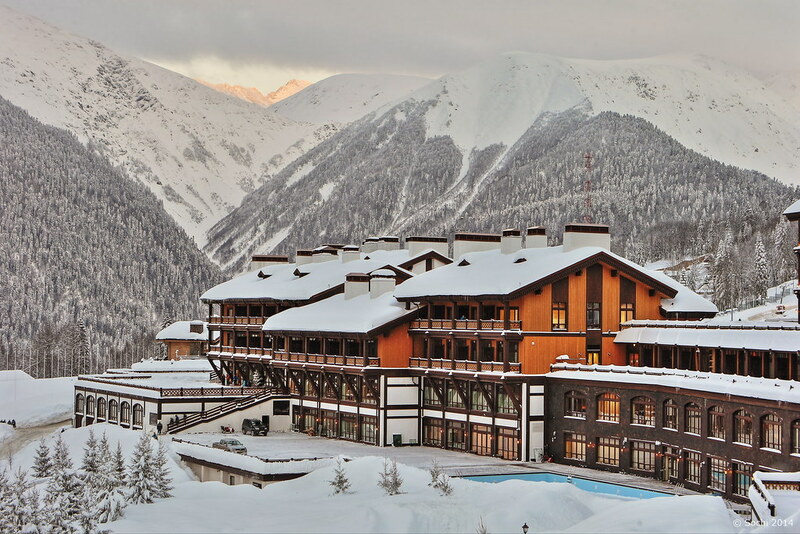 As I said last time, I expect jihadists will not attack Sochi directly because it will be pretty well protected. Generally speaking, while the Olympics may attract attacks in the host countries, the games themselves are pretty safe. And that’s easy to understand: a lot of terrorism (jihadism is no exception) is done with an eye to publicity and publicity may be gained more easily by killing people nearby. Sochi will have a great deal of security thrown at it. Meanwhile in the North Caucasus a full-scale security drive is on and the authorities are having some successes. Something I will be interested to watch is the behaviour of the 400 Kuban Cossacks who have been drafted in. Cossacks have been trying to re-form for some years and find a modern use that parallels their historic functions. So: disciplined or drunken? effective or just touristy? RUSSIA A SMALL THREAT TO PEACE. I was interested to see in an international poll that Russia hardly figured at all in the question “which country is the greatest threat to peace”. Interesting because most of the world has been subjected to two decades of propaganda about Russia’s supposed inherent lust for power, desire for empire, natural imperialism, belligerence blah blah blah. But evidently the message isn’t getting across. In only a few countries was Russia named by any more than an trivial number. My discussion here. POLITKOVSKAYA. The interminable prosecution-bungled murder trial has acquired a new jury. OIL SPILLS. A subsidiary of the big Russian oil company LUKoil, LUKoil-Komi, has just been fined, at the end of a long legal case, US$18.5 million for oil spills 2011 in the Republic of Komi. This is said to be the biggest fine so far for this sort of thing. GAS WARS. Ukrainian Energy and Coal Industry Minister Stavitsky says Ukraine has stopped buying gas from Europe and will now buy it from Gazprom at the new price. I await the headlines: Russia crushes Ukraine with low gas prices. GEORGIA. The body of former PM Zhvania is to be exhumed and sent to Switzerland for forensic testing. He died in 2005 in what was said to be an accident but there have always been suspicions that Saakashvili had him killed. The West’s standard view of Saakashvili, like its one of Putin, is propaganda and spin. SYRIAN CW. The impressively international effort to get rid of Syria’s chemical weapons capacity progresses. The first load of stuff has left on a Danish ship from Latakia. I am informed by my source on such matters that the USA has portable equipment on a ship which will effect the actual destruction. He also told me that the Syrian Sarin was very well-made and pure. Quite unlike the stuff discovered at Goutta. For those interested, here is a summary of the August attack and conclusions: not the Syrian government. More evidence of same here and here. MAN OF THE WHATEVER. Putin is topping a lot of year-end lists these days and I find it amusing. First because he isn’t doing or saying anything new but also because of the “Occido-centric” take. Three things are usually mentioned as where Putin is said to have got the better of Obama: Snowden, Syria and Ukraine. Well, Snowden just arrived and it’s not clear that it was an extraditable offence; we should all thank Putin for stopping another military adventure founded on another piece of questionable evidence; Ukraine was neither the West’s to gain nor his to keep. But, evidently, the West is still locked in a zero-sum (dare we say “Cold War”?) fixation. More interesting, however, is the admiration that he is starting to attract from conservatives. It’s amusing to watch. But, as I said, he hasn’t changed; only the perceptions have. JIHADISM. Much activity lately in addition to the two suicide attacks in Volgograd. A group arrested in Tatarstan on suspicion of attacks on churches in Tatarstan. Several gunfights in the North Caucasus. Bombs in Pyatigorsk and Dagestan. Three planning an attack killed in the Kabardin-Balkar Republic. Connected I suppose with the Sochi Olympics – among the “Lands of the Jihad”, much effort is put into getting publicity in order to raise money. My deduction would be that a direct attack on the Olympics is unlikely because it is a defended target: a train station – or, really, anything else – is much easier and gets the publicity. DEBTS. In light of what I said last Sitrep, it is announced that Moscow has finally paid off the Soviet-era debts (US$3.7 billion) to the Czech Republic, Finland and Montenegro. I’ll bet that’s more money than it got back from all the USSR’s debtors. KHODORKOVSKIY. Pardoned and in Germany. Intelligent discussion here by Alexander Mercouris. And, as a reminder that before he became a tribune of democracy Khodorkovskiy was called a criminal, this from Foreign Affairs in 2000. Amusing to realise that Khodorkovskiy then was a reason why Russia is horrible and that he still is. But Khodorkovskiy had to be differently spun so as to maintain the continuity of the propaganda line during changing realities. After all, did not Putin actually “rein in a dangerous posse of plutocrats riding roughshod over the country” as the author recommended? Poor Putin: all this conflicting advice from Americans; maybe he’s better off to just ignore it altogether. THINGS YOU WON’T HEAR ABOUT. The government submitted a draft law to the Duma to give convicts with HIV equal rights with other prisoners. ISKANDER MISSILES. A German paper claimed Iskander-M missiles were deployed in Kaliningrad and an MoD spokesman confirmed some were deployed in the Western Military District but not, said Putin, in Kaliningrad. “Destabilising” huffed NATO. Yes it is: Russia feels destabilised by NATO expansion, missile defence and so on. None of this is necessary. RELIGION. Levada has come out with a poll comparing declared religious belief now with 1989. 68% call themselves Orthodox Christian today (17% then) but only 17% are even occasional church-goers. 7% call themselves Muslim (1% then). An indication of the rather conservative society Putin describes. GEORGIAN WINE. Georgian wine has had a very good year in Russia: the first small shipment arrived in June and this year nearly half of the sales were into Russia (22 million bottles out of 45 million). It will be extremely interesting to see, now that Georgia has an arrangement with the EU, how well its sales do in Europe. My bet is that there will still be mysterious obstacles to big sales. Russia and the former USSR will be the principal market for the foreseeable future. UKRAINE. Yanukovych in Moscow secured an agreement for discounted gas price and Moscow’s agreement to buy some Ukrainian bonds; the PM said this saved Ukraine from “bankruptcy and social collapse”. Anyway, the protesters are still there so it’s not over yet (not, of course that it will be – Ukraine is deeply divided on these issues and, as long as the West keeps trying to force it to choose – first NATO and now EU – the division will continues to bleed and irritate). Meanwhile, in another example of Eurodemocracy, Latvia has joined the Eurozone despite the opposition of more than half the population. SAAKASHVILI. Announced that he has a job in an American university. What will happen if Tbilisi tries to extradite him, do you suppose?